Mission: Nueva Esperanza is a new bilingual Hispanic ministry of Morristown UMC reaching out to the nearly 34% Hispanic and Latino population in the community. It seeks to bring together Hispanic people who have immigrated to America looking for a place to gather and experience God and a church family in the Morristown area. Pastor Charles Perez was appointed as an Associate Pastor to lead the ministry and he started with a creative sports ministry for young people, small group home ministries and inspiring worship services. The ministry began reaching new people with baptisms, youth confirmations, reception of new young adult members and the blessing of a new young people’s soccer team. The soccer ministry is made up of at least 20 youth who spend time together to develop their soccer skills as well as their personal relationships with Christ. Three small groups have been established in the homes of Morristown residents for the purpose of evangelism and discipleship and in the course of a year, three children have been baptized into the faith through the ministry. Additionally, four youth completed the sacrament of confirmation and the church accepted three new members. Since its inception a year ago, an average of 20 people worship at the ministry’s Sunday Service and ministry leaders are currently working on Communities of Hope training to continue the momentum of connecting with the Hispanic and Latino communities. The team is seeking new, creative ways to build relationships with neighbors, developing innovative and life-changing community mission and nurturing mission partnerships with local organizations. Another ministry of Morristown UMC and Nueva Esperanza is the Holy Hoops basketball ministry, attracting Generation Z and Millennials; two generations who often tend to be disconnected from church. The ministry averages about 25 young people on Thursdays and Sundays. Inspiration to start innovative ministries based on Holy Hoops has sparked among those in attendance. The group is working on an unorthodox Sunday service that allows their generation’s culture to blossom in Christ. “It will definitely be innovative and creative,” said Perez. Fifteen new members have been received this year due to the work of the ministry. Apostle: Rev. Charles Perez was born and raised in Newark by a Christian mother and an atheist father. “I can see today that both influences have been a blessing to me,” said Perez. His mother instilled the importance and value of education and having a consistent relationship with God while his father’s influence allowed him to see people, different cultures, and the world that Perez would one day be ministering to. Perez earned a Bachelors in Early Childhood Education from Bloomfield College where he met his wife. The couple went on to have four children and Perez went on to Drew Theological Seminary to earn a Masters of Divinity. 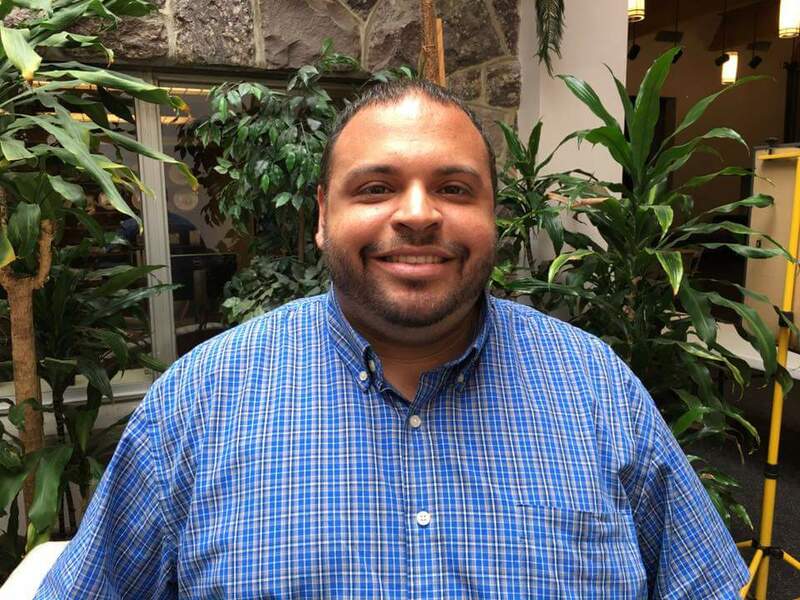 Presently, Perez is a Provisional Elder in GNJ serving as Senior Pastor at First UMC in Dover, N.J., and the Associate Pastor at Morristown UMC for the Hispanic ministry Nueva Esperanza.